Are you planning your Orlando holiday November 2019? 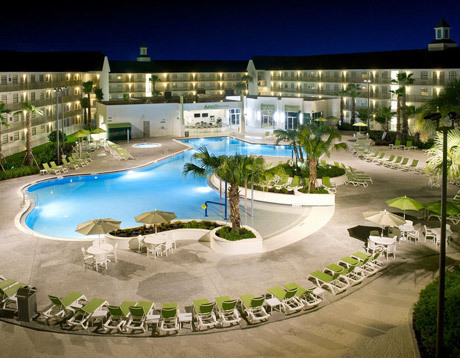 How about a fortnight at Avanti Resort on International Drive? Direct Virgin flights from Manchester or Gatwick are included in the price, along with a fully insured car hire. All this from just £785 per person. This holiday is based on a family of two adults and two children. If you have different requirements, call us on 01934 319 851 or complete our quick enquiry form. We can create a tailored November 2019 Florida Holiday to suit you. 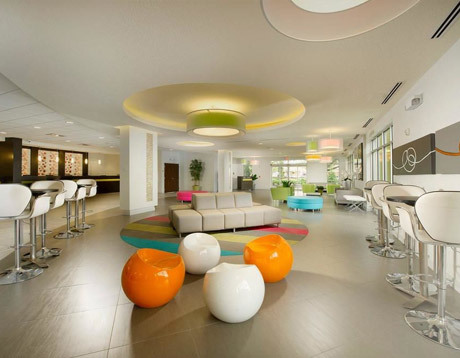 Located in the heart of International Drive, the modern Avanti Resort is an excellent choice for a November 2019 Florida holiday. Disney World, Universal, SeaWorld, Aquatica and Wet 'n' Wild are all just a few miles away. And if you don't fancy driving, the resort has scheduled shuttles to drop you off and pick you up from the theme parks. The resort has a fantastic pool with spraying fountains and waterfalls. 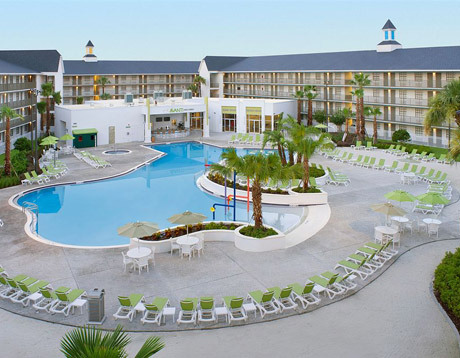 A large Jacuzzi hot tub is next to the pool – ideal for relaxing after a long day at the theme parks. If you still have the energy, enjoy a game of beach volleyball or Shuffleboard. Fitness fanatics can make use of a state-of-the-art gym, and the interactive games room is sure to be a big hit with the kids. 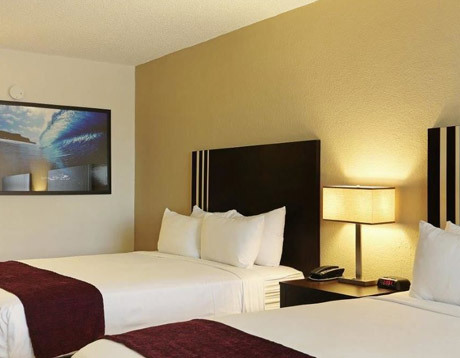 There are a variety of room styles available to suit your needs, from deluxe double rooms all the way up to premium executive king suites. 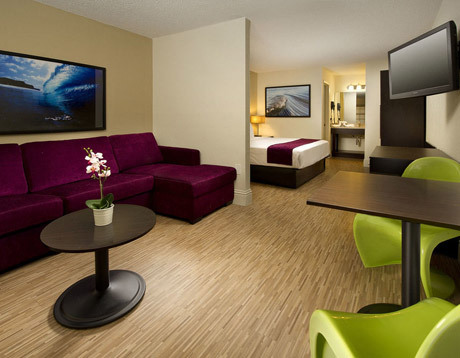 And if you need to catch up with a bit of business, each room has a comfortable desk and free wi-fi. The Avanti has a range of refreshment options. The cafe is open for breakfast, lunch and dinner. The pool-side bar & grill serves food and a range of beverages. If you fancy a quick coffee or snack, visit the barista in the contemporary lobby. For more information, read the impartial reviews on TripAdvisor. Around 4000 independent ratings average at 4/5 stars. If the Avanti International doesn't appeal, get in touch. We can book a range of accommodation – your choice of hotel, villa or apartment. For a personalised November 2019 Florida holiday quote, call us on 01934 319 851 or enquire online. Your November 2019 Florida holiday begins with Virgin flights to Orlando International – included in the price. Fly direct from Gatwick or Manchester. Or add a connecting flight from your local airport for an additional fee (your luggage will be checked through to Orlando automatically). Online check-in and seat selection save time and stress at the airport. Baggage allowance is a generous 23kg. Some types of sports equipment can be included within your allowance. Every seat-back has a screen with a range of movies, TV shows, maps, music, games and news updates. Children are well looked after – there's a kids' channel on the seat-back screen, they have a dedicated children's menu and they receive an amenity kit bursting with goodies. In-flight meals and drinks are included. For more details on all of the above, visit Virgin's website. If you prefer to fly with a different airline, or would like a connecting flight from your local airport, let us know. 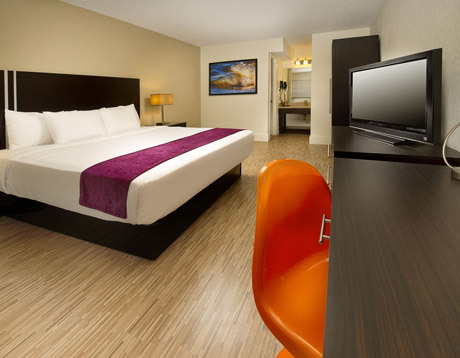 We can put together the ideal November 2019 Orlando holiday to suit you. A free tank of fuel: the vehicle will be full upon collection - return empty. We also deal with Budget, Dollar and Avis. So if you have a preferred supplier or would like a specific model, contact us. Let us put together the ideal November 2019 Florida holiday for your needs. This November 2019 Florida holiday is available from just £785 per person. And you can book with a deposit of just £100 per person. Balances aren't due until 90 days before departure. Book soon and you'll have plenty of time to budget. This Florida holiday November 2019 includes Virgin flights direct to Orlando from Gatwick or Manchester, two weeks at Avanti International Resort and a fully-insured car hire. Don't forget, we can put together any Orlando holiday November 2019. So if this offer doesn't suit, contact us for a personalised quote. All of our holidays are fully ATOL protected. A Halloween Florida holiday is a great way to spend the October half-term. Stay in a luxury Emerald Island villa right next door to Disney World. Virgin flights and car hire are included – we can arrange the full package. Book on deposit, ATOL protected. September is an ideal time to visit Florida. Flights are good value and the theme parks are quieter than the summer months. Enjoy a couple of weeks at Cane Island Resort. The price also includes vehicle hire and Virgin flights to Orlando International. Book with a deposit of just £100 per person. ATOL protected. Still undecided which month to travel? Why not check out our range of 2019 Florida holidays? We have lots of suggestions. Choose your accommodation – we can book hotels, villas or apartments. If you can't find something suitable, get in touch – we can put together a bespoke quote for your requirements. All of our Florida holidays are ATOL protected and can be booked on deposit.